National Smile Month is upon us once more, and though we all had a great time celebrating it last year, we are looking to double efforts on spreading dental awareness for 2015. Just to provide a small recap, National Smile is the largest and longest running oral health campaign in the UK and attracts thousands of people every year. The message of the campaign is simple and only has three main points; cut down on sugary food, brush twice a day, and visit your dentist regularly. Three simple things to remember that can do wonders for the improvement or maintenance of anyone’s oral health. So, why even bother with something like this if it is something anyone can do on their own? It is everyone’s responsibility to ensure that these three things are never forgotten and continuously improve the nation’s dental health. Persistence is the name of the game in health educational campaigns and the hope is that constant lessons eventually turn into habits that parents pass onto their children. The official duration of the campaign is from May 18 until June 18. We are encouraging everyone who knows about this effort to spread the word and apply the three messages into their own routine. This may be an initiative that only comes around once a year, but its effects can last a lifetime if practiced every day. Even though everyone is more than happy to let people apply the message of National Smile Month in their lives, there are still so many things people can do to help the cause during this thirty-day period. There are posters, T-shirts, and CDs available that can help people learn about the importance of oral health and spread the information to their family and friends. If you want to learn more about how to improve your own dental health, but cannot wait for the official start of National Smile Month to come around, contact us today. We dedicate all of our time to not only improving the oral health of our patients, but in educating them on how to maintain it as well. This entry was posted in Weybridge on 10th June, 2015 by Weybridge and Kingston. National Smile Month is our largest and longest-running oral health campaign. It promotes brushing the teeth at night, cutting down on sugar, and regular visits to your trusted dental clinics. In celebration of this fantastic event, Weybridge Orthodontics shares some tips to protect your child’s teeth from sports and playground related injuries. Days are getting longer and the outdoors are looking more inviting. Kids are heading out parks and playgrounds for a round of fun outdoor sports and activities. Reports identify traumatic dental injuries as most prevalent in skateboarding, rollerblading and biking, as well as sports such as football, hockey, and basketball. Weybridge Orthodontics wants your child to be able to play safe every day without the risk of traumatic dental injuries. The variety of dental injuries from play ranges from chipped teeth, dislodged or avulsed teeth. Children may even lose one or two of their front teeth, which may psychologically affect language acquisition and self-esteem. Dental injuries might require them to go through aesthetic restoration, root canal treatment or replantation of a knocked-out tooth. Even after healing, the discomfort and pain will take even longer to go away. 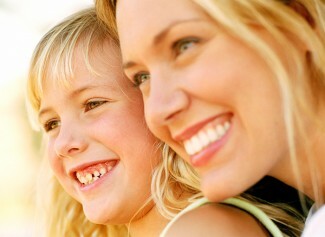 It can also leave your child with long-term consequences in such an aesthetically important area of the mouth. Managing teeth injury can end up costing quite a lot. Prevention is the best solution when it comes to helping your child dodge major damage and trauma. It is important that children who are into outdoor sports that tend to develop into aggressive and competitive games wear mouth guards along with other essential protective gear. Weybridge Orthodontics believes a mouth guard is important to protect children during play or activities. There are three types of mouth guards: ready-made, the boil-and-bite, and the custom-made mouth guard made by your dentist. We would like to stress that a well-fitting and efficient mouth guard should be sturdy while being comfortable. It should not restrict speech or breathing. Visit us today for more information about which type fits you best. We want only the best for you and your children. Let them have the best time when out on the playground, minus the risks and dangers that come with the greatest childhood memories. This entry was posted in Weybridge on 29th May, 2015 by Weybridge and Kingston. The importance of patient consent in dentistry is an aspect of the business that needs more attention because of its legal and moral implications. Dentists should not be allowed to conduct any operation without the permission of the patient, even if it is for the betterment of their oral health. But simply not asking permission is not the only danger young dental professionals should be made aware of. Weybridge Orthodontics highlights two things that can give young dentists problems with their patients and the law if left unobserved. These two factors are failing to take into account what is and what is not available in the National Health Service (NHS), and working beyond their competence. It is quite easy even for experienced dentists to do these two things, making it imperative to instil the correct attitudes in dental professionals while they are young. New dentists can keep themselves out of trouble by adopting a series of professional habits that will serve them well even as their careers advance. One of the most important of these habits is keeping abreast of the latest news from the NHS. Dentists will also do well for themselves if they begin listening to authoritative voices in the industry such as the British Dental Association (BDA) and the British Dental Journal (BDJ). Fortunately, dentists in Weybridge do their best to always be first to know everything about news within the industry. It is a habit that not only allows us to stay out of trouble, but one that keeps us ahead of other clinics in terms of new techniques and technology in oral care. Our patients have the benefit of enjoying the best and latest the dental industry has to offer – with their express consent, of course. Dental care is more about giving patients healthy teeth and mouths. It is about making them comfortable with who they are and what they have, and that feeling should start in the dentist’s chair. If you are looking for a quality experience along with excellent care, contact us today. Our teams are ready to make every visit feel like it was better than the last. This entry was posted in Weybridge on 25th May, 2015 by Weybridge and Kingston.